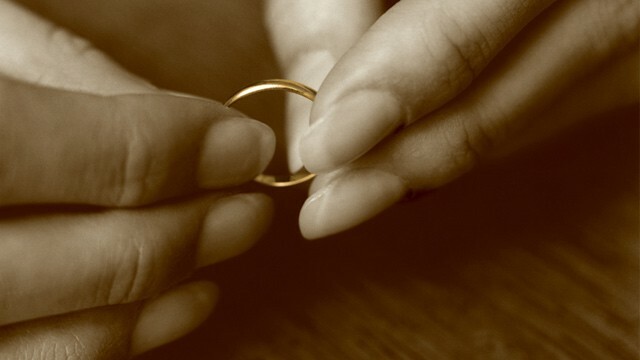 There are few things that strike our lives as entirely and profoundly as getting divorced. The truth is, it can feel nearly impossible to articulate its impact. The upheaval of a divorce is that overwhelming. So many women have written to me in search of tips, ideas, books, magic potions, anything to help ease the trek through the inevitable difficulty that becomes our everyday lives during the splitting of a marriage. Regardless of what precipitates this experience, the walk is an arduous task. Unfortunately, as I’m known to profess, nothing we gain that is truly great in life is ever fast or easy. For most women who ask, I share the one clear and known fact I have about the pain of divorce. The first and most effective ingredient to the recipe for healing is … time. Unfortunately, we can’t buy it, fake it, deny it or hurry it. We simply must wait for it. Some of us can embrace the truth behind this idea more easily than others. As far as answers and immediacy, it’s not the most popular solution, and it certainly doesn’t bring ease to our daily existence. But, if we’re willing to embrace it, it can become our basis for the hope we need to pave our way through to a better place. Another piece of straight-talk advice I offer is the notion that I wish I could fast-forward people standing on the bank of divorce two years ahead in their lives. That is just about the time it takes for the inevitable and daunting fog that becomes our lives to settle enough to allow us to breathe in the way we remember breathing. To be able to fast-forward would be a blessing for most of us, or would it? It is so easy to say, when standing outside of someone else’s life, what is, what should be and what will be. And it is so difficult to imagine, when you’re the person in the experience, that anyone could possibly know what you’re really going through. This is human nature. The truth that we all know is that we can’t fast-forward life. That’s the point. We have to live it. If you jump into the middle of the freezing cold ocean alone with no sight of land around you, panic will set in. But, if you think about the jump, bring a wet suit and a life jacket and ask some people you love to sit in a rowboat beside you, the experience becomes something else. Navigating divorce can bring on a kind of vulnerability that most of us didn’t even know existed. It’s the flip side of falling in love, when we are able to throw our hearts out in front of ourselves onto the pavement, believing, somehow, that no one will run it over. Unequivocally, the emotional rollercoaster of divorce can be a terrifying ride. Yet, regardless of the dips and curves and blind spots, the good news is we know for a fact that it will ultimately end. No matter how I say it, paint it, or see it for you, the very least hope you can hang on to with absolute assurance is the rollercoaster will, indeed, end. The pain and questioning can feel eternal, as though it will never cease, but it does. To know that tiny fact can bring immense comfort. If there was ever a time to decide to make a change in yourself, it would be so fitting to make it during this experience. I’m not talking about the kind of change other people can see. I mean the kind of change that only you will know and you can feel. As often as words of wisdom fall on smiling faces and deaf ears, this is a time to listen and take action. Besides surrounding yourself with the people you love and need. Besides knowing it’s okay to lose it, and to question every single thing in life you ever thought you could count on. Besides making sure you do things in life to get your attention off yourself. You must do this. The experience of divorce can render you so sick of yourself you won’t know what to do. This is something I know for sure. Something that, if I could bottle, would bring the kind of peace and faith that would make all of our experiences ones we could manage with faith and pride. This is the time in your life when you have to learn to champion yourself. You have to become the kind of support to yourself that you were to your husband, and that you are still to your kids. We, as women, move mountains for everyone but ourselves. The bright and silver lining to divorce is in the opportunity we have to become for ourselves who we are to so many others. There isn’t a quick and easy magical way for me to say this, so I will just say it: Get hold of all the strength you have inside, use what you already have and steer it for the first time in your own direction. Give yourself the break, the time, the love, the support and the faith. That is what will take you the furthest and the fastest.